There is a lot of angst out there still between drivers and cyclists. Both are people. I ask therefore for a bit of cycling courtesy from everyone. Motorists have been incensed at the opportunities afforded cyclists. They believe cyclists are being given latitudes they don’t have. Not having to register their bikes and have number plates where drivers do. Cyclists, on the other hand, are mortified that motorists do not pay them the courtesy of being a road user with equal rights. This too has been highlighted in the media. Governments have been criticised for their efforts to improve road safety for cyclists. The infamous Frome Road infrastructure project is still condemned today. 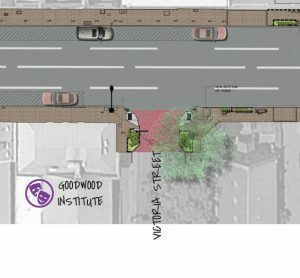 The City of Unley has had its share of criticism when people realised that our projects might appear to favour cyclists over motorists. The infrastructure changes at the intersection of Young Street and Porter Street is an example. This all stems in my opinion from a lack of Cycling Courtesy. A lack of respect for each other. My message to motorists. Cyclists are people too. Cyclists deserve the respect of being a joint road user. They deserve respect as being someone who uses a mode of transport that is not only making them healthier but helping to make drivers healthier too. They deserve cycling courtesy. My message to Cyclists. Time to for Cyclists to respect Drivers. I must say too that it is time for many cyclists I have encountered in recent times to have respect for me. Respect for me as a driver. Respect for me as a pedestrian. Cycling Courtesy, in other words, works in the opposite direction as well. A recent experience on Cromer Parade as a motorist, and other experiences lately as a pedestrian have left me with the conclusion that we all need to respect each other a whole lot more than we do currently. Accordingly that means cyclists need to start respecting motorists. Driving west along Cromer Parade a week or so ago and travelling at the designated speed limit I attempted to pass a cyclist travelling at half my speed in the same direction. The cyclist sped up as I started to overtake and moved to the centre of the road. This forced me to the other side of the road where I narrowly missed a collision with a parked car. The cyclist jesticulated at me from the centre of the road as I passed. Another cyclist travelling a safe distance away in the opposite direction also gesticulated at me. Why? Perhaps for being on his side of the road for a while. Maybe because they felt I should not have overtaken the first cyclist. Perhaps I wonder because they believe they have more rights to be on that road than eye. I will never know. Time too, for Cyclists to respect Pedestrians. I also say too that it is time for many cyclists I have encountered in recent times to have respect for me as a pedestrian. I remind cyclists that pedestrians are also people. Like you with your experience with motorists we are at your mercy in that you not only are bigger and travel faster (your argument with drivers) but you are also silent. I have experienced on a number of occasions near misses as a pedestrian. All from the rear. This includes cyclists on the Greenways path through Black Forest and along the west side of the Showgrounds. The underpass under the Goodwood Rail Station is another such frequent location(where they are meant to dismount). There are numerous other locations. I felt the wind of a cylcist earlier this year passing me from behind on the Torrens River Bridge on my way to Adelaide Oval. A bridge some 9 metres wide and I am walking about 1.5 m from the west handrail, only to feel the breeze as a silent cyclist traveling from behind at speed passed me. Cyclists please recognised that you need to show the same respect as you are requesting from drivers. My final message for all of us. Whether you are a motorist or a cyclist please respect the fact that you are both people. People deserve respect. Motorists need to respect Cyclists. Cyclists, in turn, need to do the same in reverse. They also need to respect the pedestrian. Because pedestrians too are people. Let us all show some cycling courtesy and start respecting each other rather than bitching about other respecting us. Give respect. Earn respect. 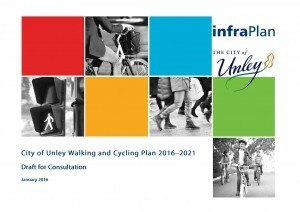 Unley Council wants you to help with walking and cycling in the suburbs of Unley. We ask you to go to our Have Your Say web page. 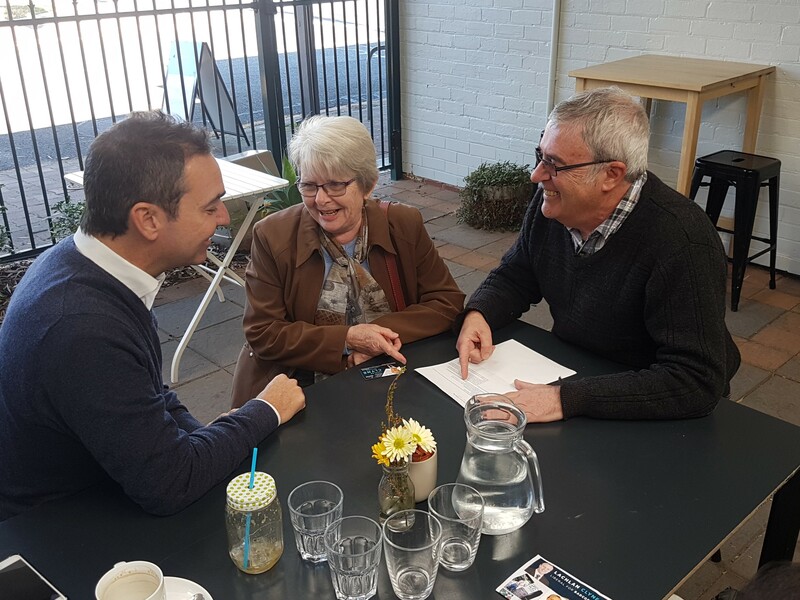 Then let us know what you believe is the best way of ensuring safe and enjoyable or simply improving walking and cycling through the streets of the suburbs of Unley. In passing legislation allowing cyclists to use footpaths the State Government has put cycling on the map. Everyone is talking about it. We still hear comments on talk back radio and in letters to the editor. What better time to engage you in helping us with our own walking and cycling plan. 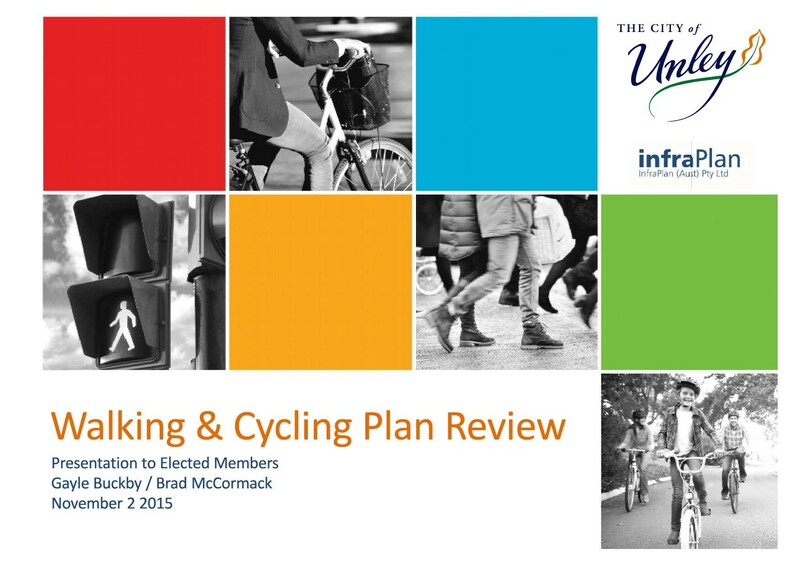 We (Unley Council) have been working on a walking and cycling strategy of our own for some time now. The result of that work is a draft walking and cycling strategy. 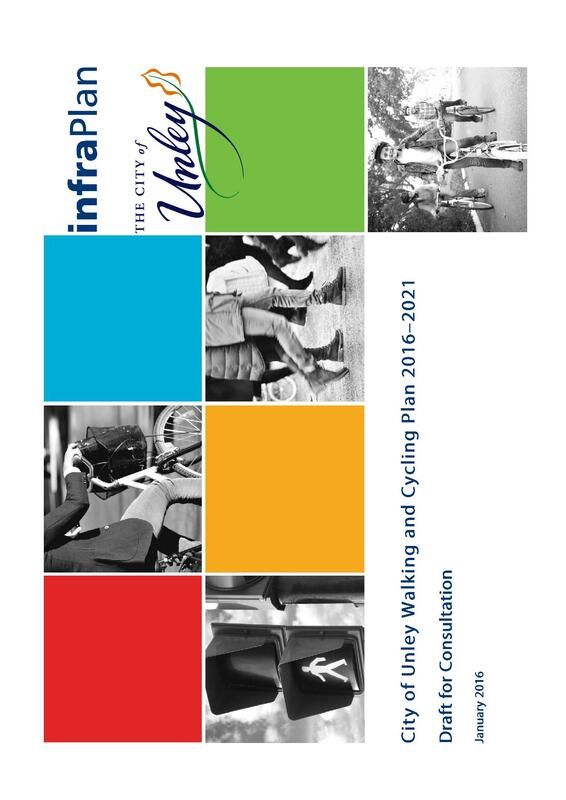 The next step is we are asking you to help us with determining the immediate future of walking and cycling in Unley. 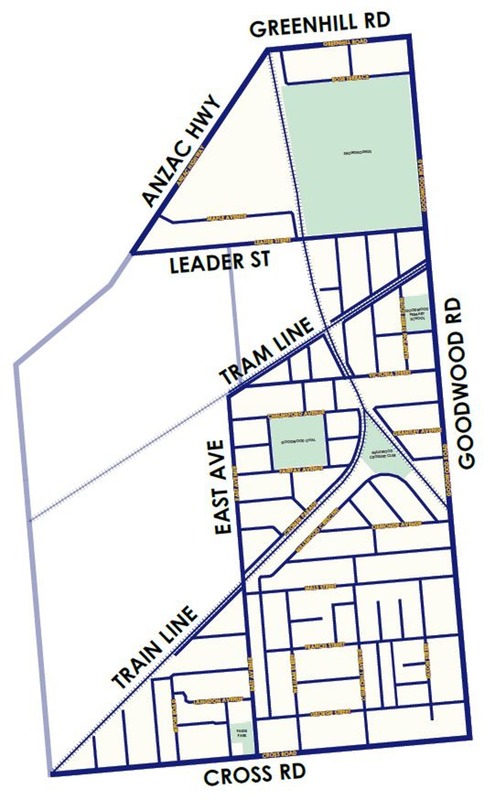 With 27 persons per hectare Unley has the most dense population of any metropolitan council in Adelaide. This is ideal for walking and cycling. The 2011 Census indicates indeed that the residents of Unley are more likely to walk or ride to work. 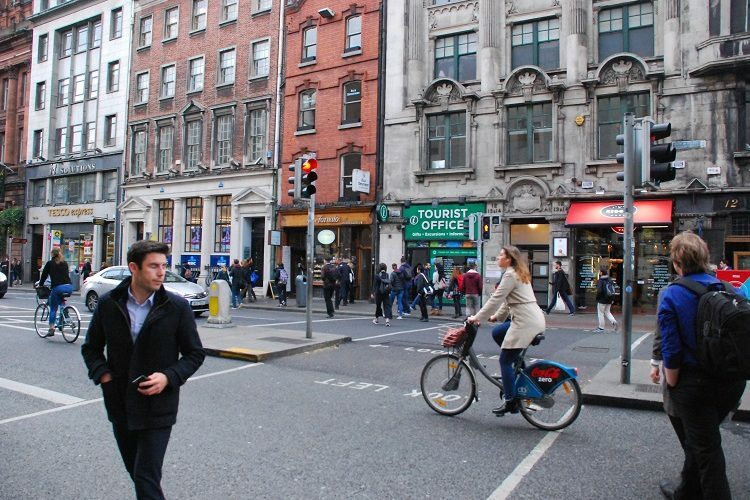 Recognising this, over the years Council has made a number of decisions that has resulted in one of the best environments to walk or cycle, whether socially or as a commuter to work or school, or to the bus or train. Decisions like creating a council wide 40 kph speed zone, like installing the cities first Wombat Crossing (in Arthur Street) against the departments “better” judgement. A number of other initiatives have been implemented since Council’s 2005 Bicycle plan was adopted. We of course are an important component to the Government’s Mike Turtur and Greenways bikeways. The draft plan builds on these achievements and will inform council programs for the next 5 years. So please hop onto our have your say webpage on walking and cycling, study the plan and provide your input before the end of this month into what we are proposing and/or making suggestions for enhancements. Cycling remains in the news courtesy of the Governments changes to the regulations. Having made observations about this last month I can now advise you that Council will soon go out to public consultation on a new walking and cycling policy. Our current plan is now some 10 years old and is due for review. Our consultants Infraplan, have reviewed our current cycling and walking network, analysed traffic and crash data and given consideration to the introduction of the Mike Turtur and Greenways bikeways that have both appeared since the last review. 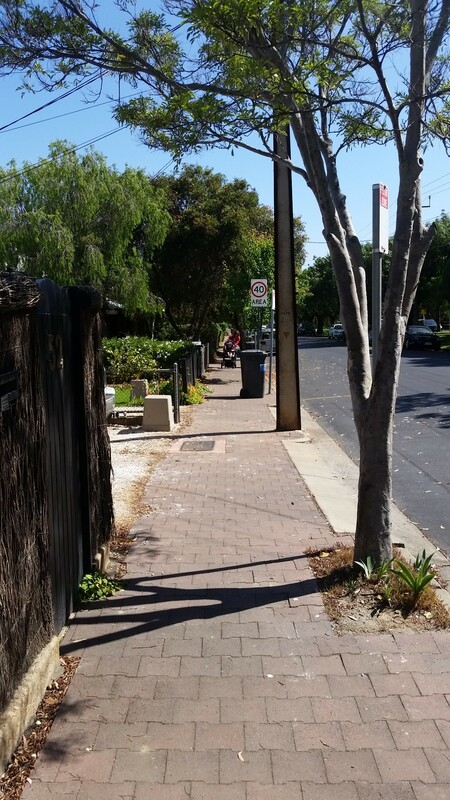 As readers of this blog would be only to aware, Unley has a fine reputation in considering our cyclists and creating safer environs for them to ride in. It is a reputation we wish to keep and to build on noting that bike riders now constitute 3.9 % of all commuting to work by our residents. 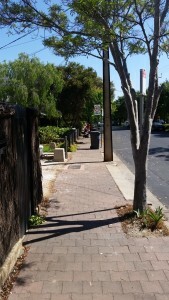 Even more, 15% of Unley residents walk to work or to a public transport stop. They have made a series of recommendations to Council for changes that elected members now have a chance to read and make observation on before presenting back to Council for further consideration. The recently formed Unley Bicycle Users Group (UBUG) have already been consulted and have endorsed in principle the plan being put to us. At that time we will endorse a public consultation program to gain your feed back before approving or otherwise the new plan. The plan makes a number of important observations including modifying actions already implemented and introducing new ones. It has identified a number of key safety deficiencies. Improving way finding, something that we have been working on rectifying at the East Avenue/Canterbury Terrace, Cromer Parade rail intersection. There is NO observations in this plan regarding the government’s recent regulation changes. This has onlu just been dumped on us as you know whereas the report has been the result of research over the best part of this year. Watch out for your opportunity, which I expect may be not before the new year. It’s here whether you like it or not. Cycling on Footpaths will be Council’s Cycling Conundrum courtesy of our “well researched” State Government. You have all heard about this one, it is the hottest topic in town right now; the Governments Cycling legislation bought in outside of Parliament by regulation. What does this mean to Councils and in particular the City of Unley. Unley has a reputation I believe of being a bike friendly City. We have and continue to grow a network of bicycle friendly routes. Our bike friendly tracks interact with Government tracks in the Mike Turtur Bike-way along the tram corridor and the recently constructed Greenways along the Seaford Rail Corridor. As we speak we continue to look at ways of increasing and/or improving the pathways to allow our numerous bike riders and indeed those from outside our city to navigate through our city. 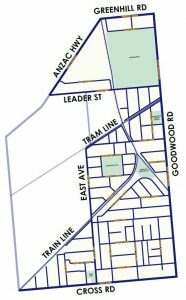 The Governments (what I suggest is ill conceived) allowing of bike riders of all ages to use the footpaths has the potential to undermine this council’s reputation. They have by their regulations shown themselves to be a champion of bike riders. In doing so they have paid no attention at all to the problems and challenges that this may place on local government. I personally heard the minister when he first announced on talk back radio that pedestrians injured by cyclists can sue the Local Council for compensation for any injures sustained. 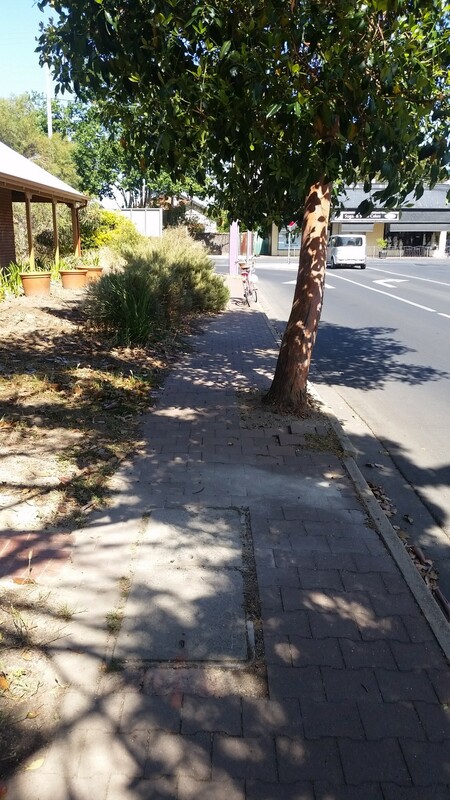 A big percentage, if not the majority, of footpaths I suggest in the City of Unley simply are not suitable for bike riding. Many are too narrow, some being 600 mm of less in width. Many are compromised by our much loved and much hated street trees, making travelling along footpaths I imagine as difficult at best for bike riders. As is the case with most inner suburban streets the front yards of our properties are fenced with high vision restrictive fences. If we at Council hold this as true then it would appear we will have to create by-laws prohibiting cyclists from using footpaths designated by us as unsuitable. Failure to do this would likely see us being capable of being sued for negligence in not protecting our citizens. Grandma and child approaching. Who gives way at bin. Up go our premiums and up go your rates and down goes our reputation of being cycle friendly. A plethora of new signage to add to the clutter of road signs we already have. Having said that I would be surprised to see cyclists considering riding along many of our footpaths because they themselves will see the folly. But common law will place the onus on us, not the rider, to determine if a footpath is safe. 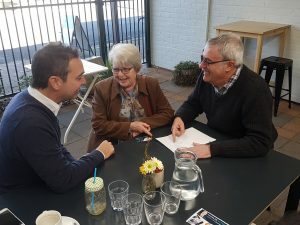 We at Unley Council, and the LGA on our behalf, are lobbying the government hard to determine how we best deal with this or (touch wood) get the government to see sense and restrict or remove the regulations that precipitates this dilemma.